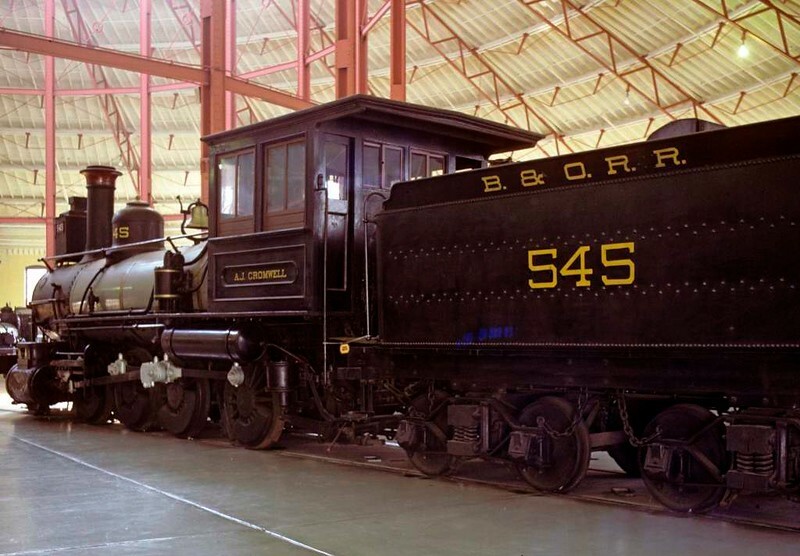 Baltimore & Ohio RR No 545 A J Cromwell, Baltimore & Ohio Railroad Museum, Baltimore, Maryland, August 1979. 2-8-0 built in 1888 by the B & O. Named in 1927 for its designer. Photo by Les Tindall.